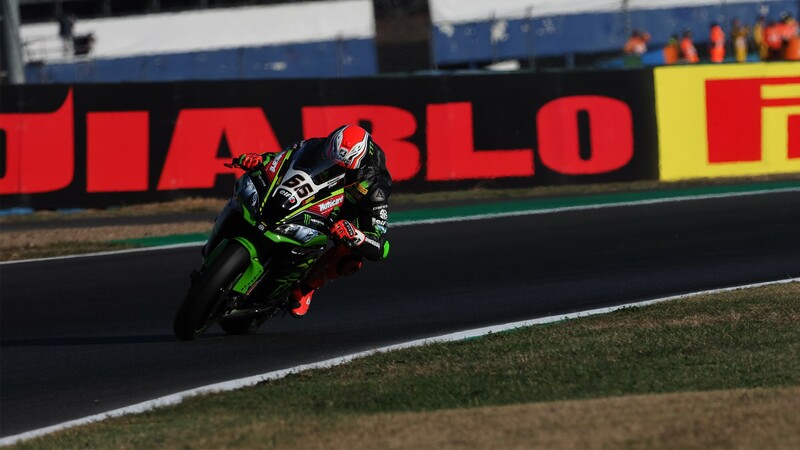 “Mr Superpole” Tom Sykes (Kawasaki Racing Team) is on pole for Race 1 at the Acerbis French Round, putting in a last push at the end of Tissot-Superpole 2 to take his 47th pole and beat teammate Jonathan Rea to the honour of a new lap record. Rea had beaten the previous pole lap record by quite a margin as the last few fast laps shot in at the end of the session, but Sykes’ final effort set a new benchmark once again: a 1:35.696. Under somewhat unseasonably sunny skies at the Circuit de Nevers-Magny Cours, Tissot-Superpole 1 had seen Leon Camier (Red Bull Honda World Superbike Team) top the timesheets and move through, joined by Toprak Razgatlioglu (Kawasaki Puccetti Racing) after the two made big improvements on latter runs. But that left Eugene Laverty (Milwaukee Aprilia) paying the price as the Irishman gambled he’d done enough after initially topping the timesheets, staying in the box and just missing the cut. 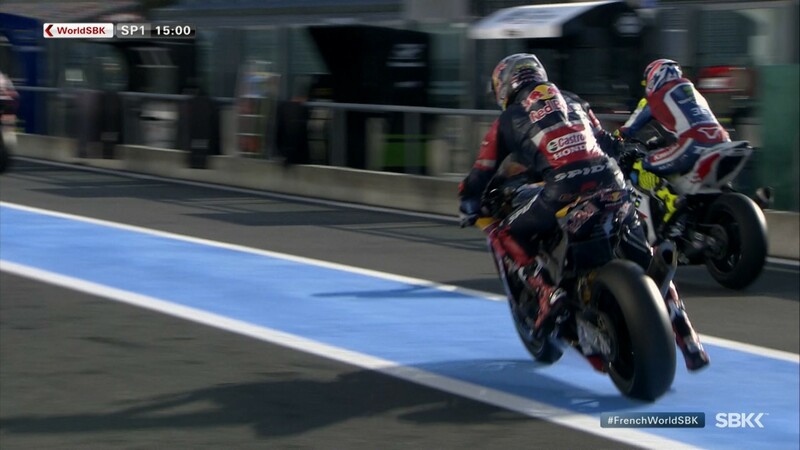 Once the lights went green to signal the start of Superpole 2 it was reigning Champion Rea heading the timesheets after the first runs, and the Northern Irishman then came back out and smashed the previous lap record. 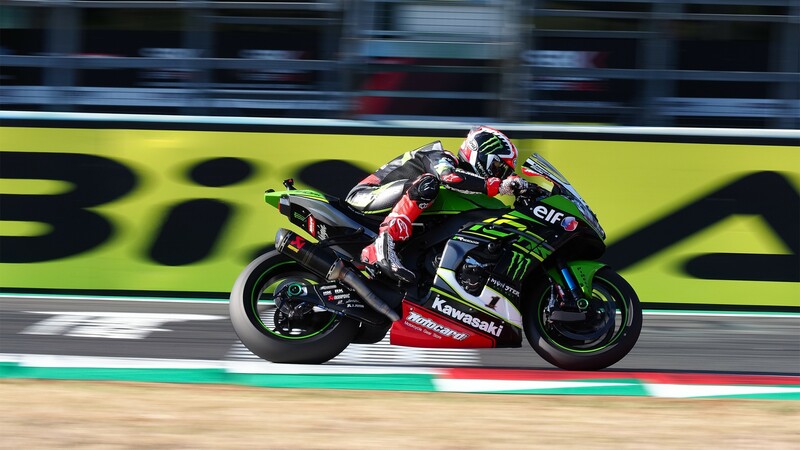 But it wasn’t to be, as Sykes once again proved the nickname correct and “Mr Superpole” blasted another tenth and a half off the record for pole. 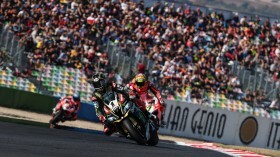 Behind the two Kawasakis, Lorenzo Savadori (Milwaukee Aprilia) completes the front row as the Italian once again showed top one-lap pace – just edging out Xavi Fores (Barni Racing Team) by half a tenth. 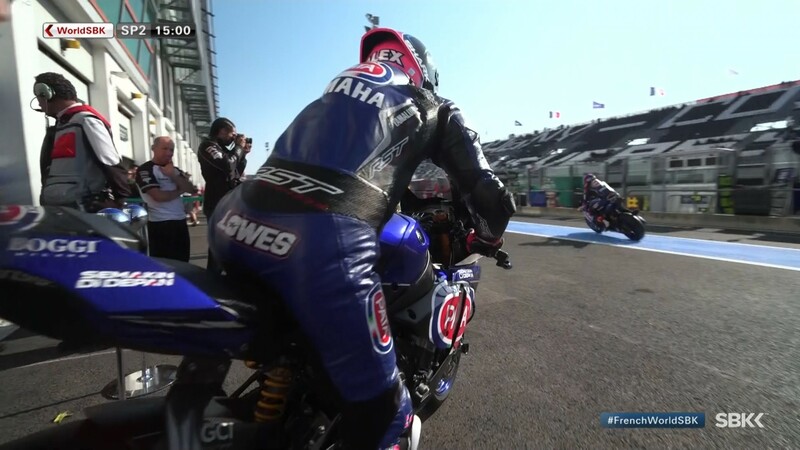 That leaves Fores heading up a star-studded second row, with Alex Lowes (Pata Yamaha Official WorldSBK Team) taking fifth and perennial Championship contender Chaz Davies (Aruba.it Racing – Ducati) locking it out in sixth despite still recovering from a collarbone broken during summer break. Row 2 is headed by another Borgo Panigale machine, but this one that of Michael Ruben Rinaldi (Aruba.it Racing – Junior Team). 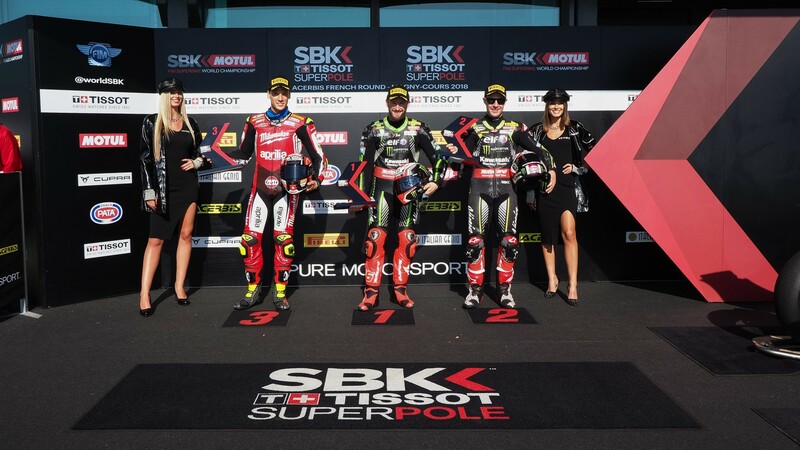 The reigning STK1000 Champion is in his last race of the season with the squad – only competing at European rounds – and lines up in P7, just ahead of Loris Baz (Gulf Althea BMW Racing Team). Completing that row is Razgatlioglu after his move through from Superpole 1. Tenth quickest Michael van der Mark (Pata Yamaha Official WorldSBK Team) is one man who may have wanted a little more from the session, but the Dutchman won at Donington from ninth on the grid and he’ll be looking to pick his way through to the front. 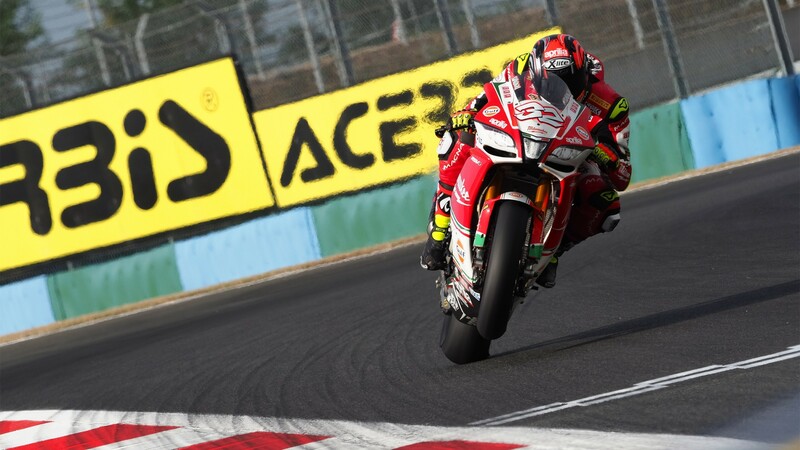 Leon Camier was 11th quickest, with Marco Melandri (Aruba.it Racing – Ducati) P12 of 12 after a more difficult session. 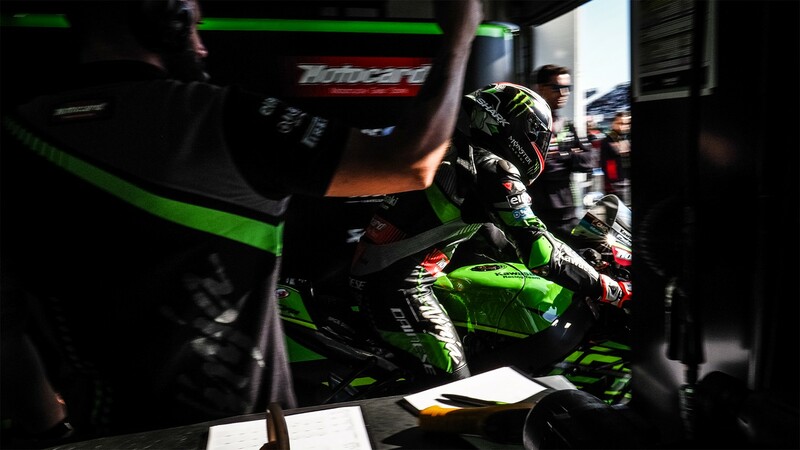 A man on form at Portimao, he’s another who will be looking for a quick route to the podium battle. After missing out on the chance to contest Superpole 2, Laverty starts P13 and is part of the same armada aiming squarely for a lightning start, lining up just ahead of Jake Gagne (Red Bull Honda World Superbike Team) and Jordi Torres (MV Agusta Reparto Corse). The stage is set for a stunning Race 1 and it begins at 13:00 (GMT +2).